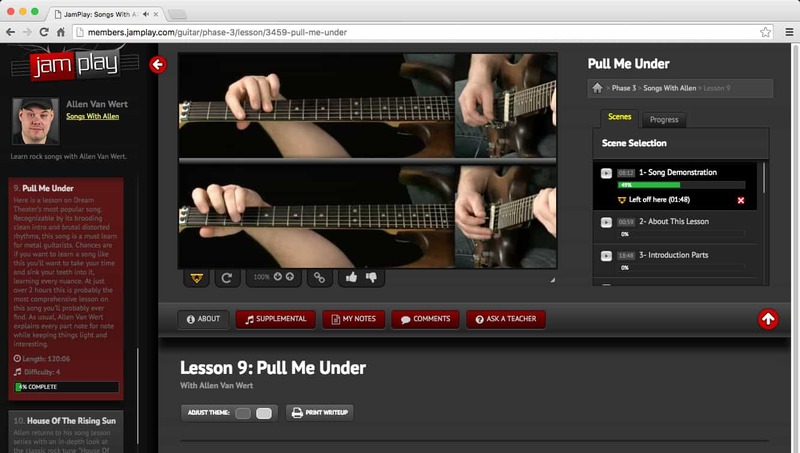 Up until this review, I’d used a couple different headstock-mounted, clip-on tuners. 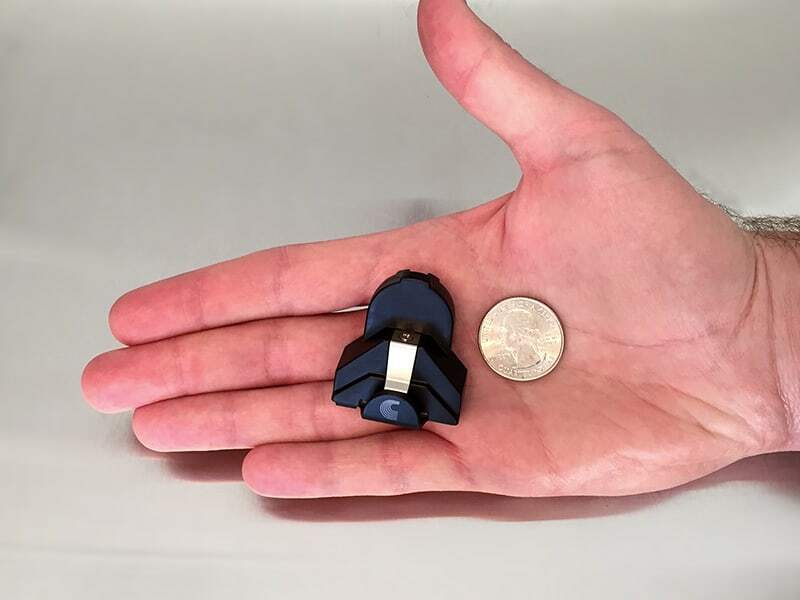 My biggest complaints about these clip-on tuners are that they’re either too “micro” or too big. I liked the tiny, inconspicuous one, but it could be difficult to situate among my tuning pegs and could also be difficult to see. The bigger one was definitely easier to see, but I did’t like having this big appendage hanging off my guitar headstock. 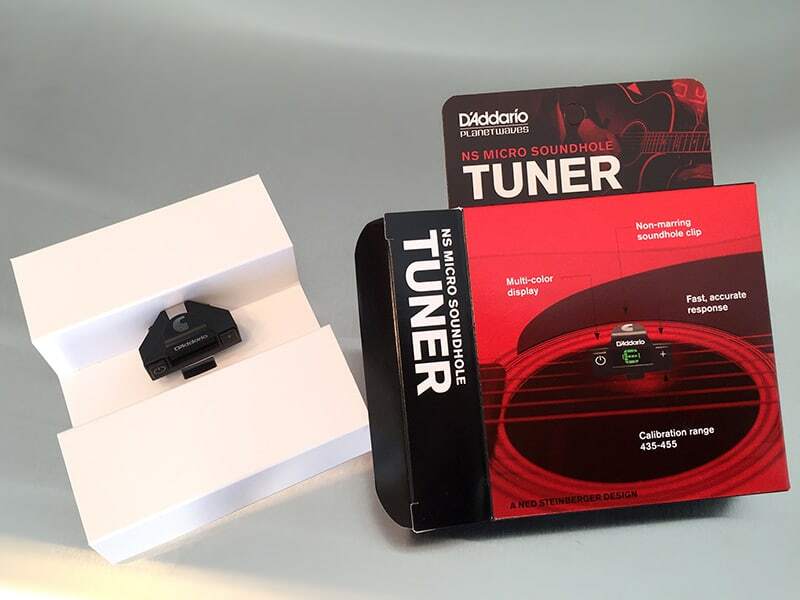 In a departure from the typical semi-circular design of those other soundhole tuners, in 2016 D’Addario/Planet Waves unveiled the new NS Micro Soundhole tuner. 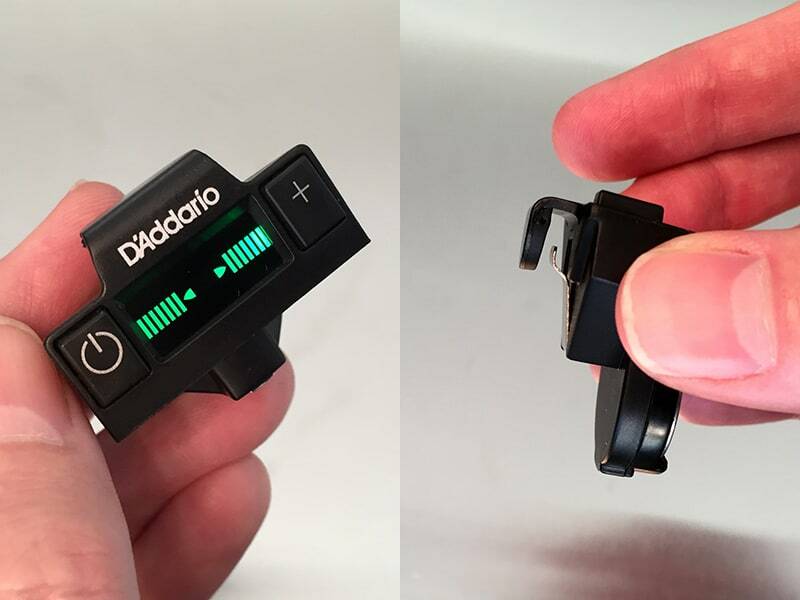 It’s the soundhole-mounted sibling to their wildly popular NS Micro Clip-on (headstock) Tuner. Eager to try an alternative to my headstock tuner, I pre-ordered my NS Micro Soundhole Tuner about a month ago, and it has finally arrived. Actually, it arrived 2 weeks ago, but I’ve been putting it through its paces for 2 weeks now so that I could write this review for you. 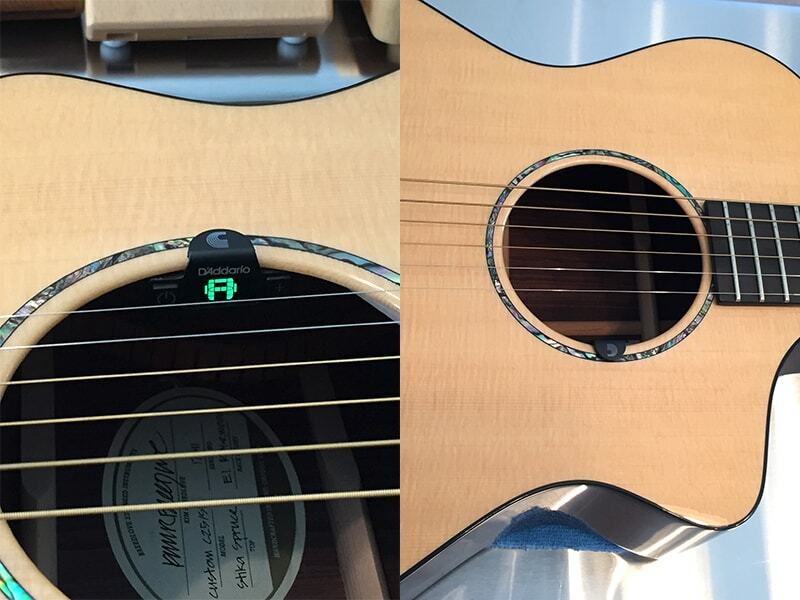 When the NS Micro Soundhole tuner is in place, it’s nearly invisible to the audience. Only 3.5 stars here because the NS Micro Soundhole tuner performed just fine in the relative quiet of my house. Similarly, normal everyday sounds and noise did not aversely affect it, and it accurately tracked notes as I plucked them. 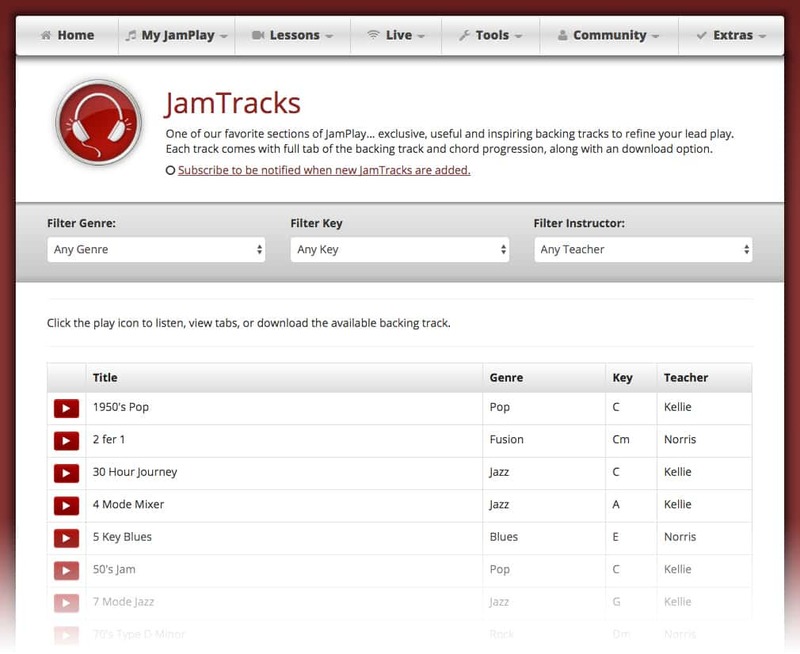 I also tested it with several alternate tunings, like drop D, open C, open D, etc. and it did fine. 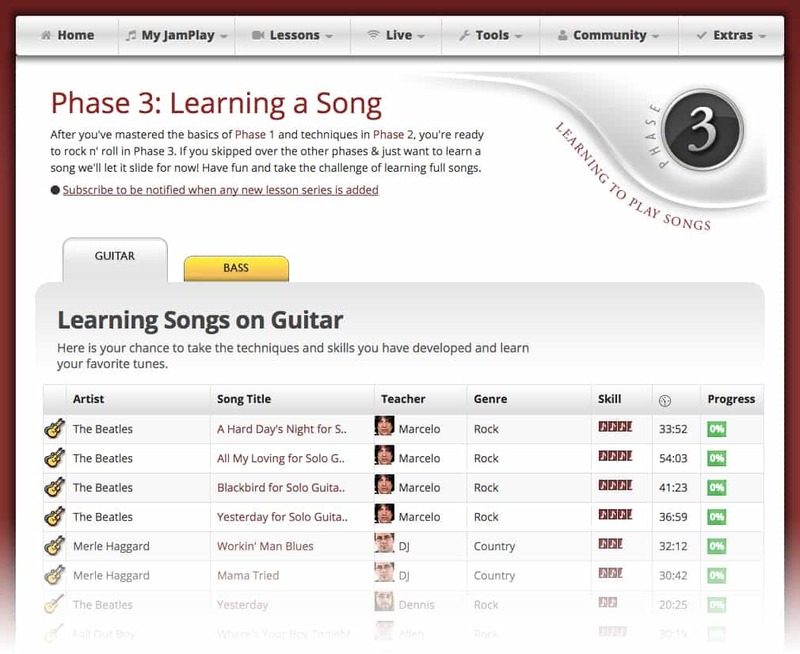 In the first test, I had my girlfriend sing loudly, directly in front of my guitar. The soundhole tuner didn’t like this, and had quite a bit of trouble tracking the notes of my guitar strings. Instead, it wanted to track the notes she was generating. 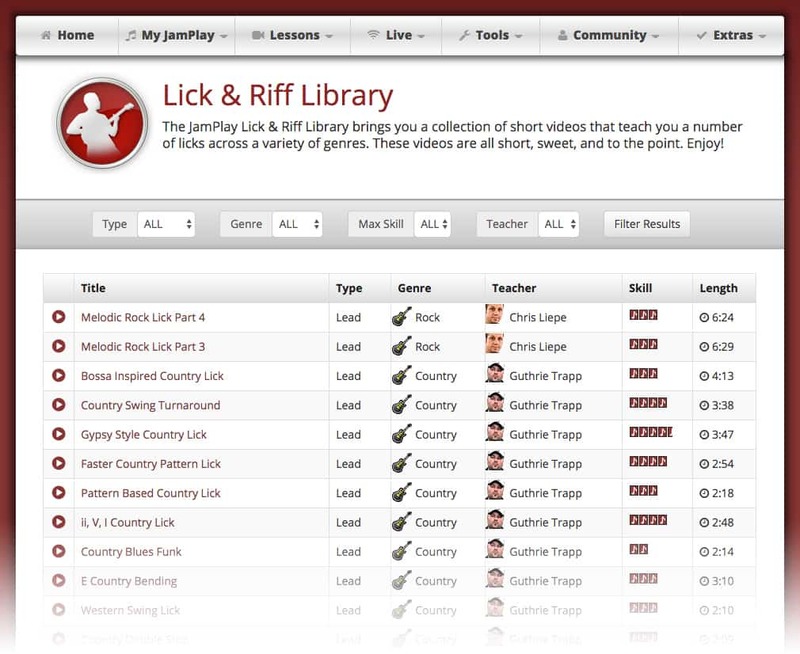 In the second test, I blasted the isolated bass track from the Red Hot Chili Pepper’s “Give it Away”–to simulate a bass player noodling on stage while I tried to tune. The tuner didn’t like this at all. It jumped around from note to note and often failed to register any note at all. It was impossible to tune with the bass track playing. In the third test, I played the isolated rhythm guitar track from Dream Theater’s “On the Backs of Angels.” The tuner did a little better here. It struggled occasionally, but was still generally able to pick up my notes and allow me to tune. So, the verdict here is that this tuner is completely fine for “normal” conditions, but it will probably be ineffective in a noisy stage environment. This is also true of headstock-mounted tuners as well, so keep this in mind when passing judgement. From the player’s perspective, the NS Micro is in the perfect position. Each time I placed and/or removed the tuner (which I did 3 times), the process felt very precarious–like I might drop it into the soundhole. I never actually dropped it into my soundhole, but it sure felt like I might. 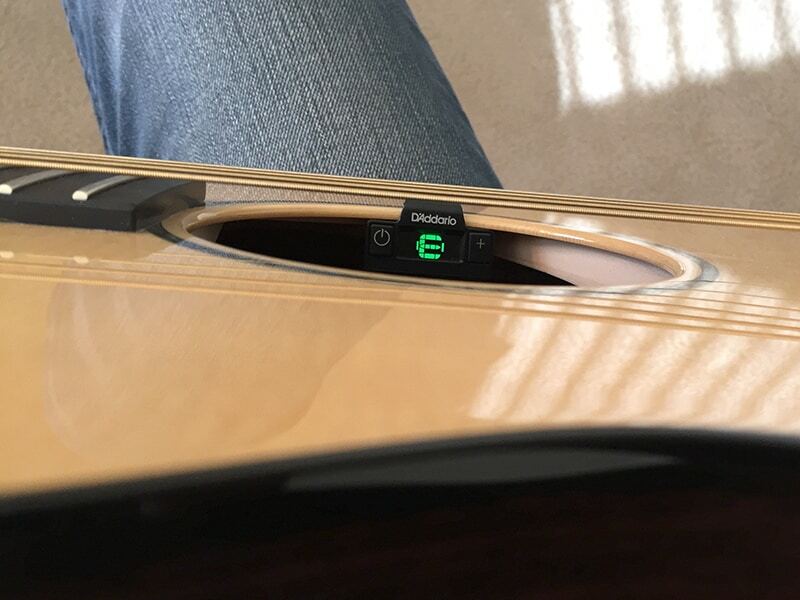 If you got lost in the moment and went completely beserk on your guitar, I can see how it might be possible to knock the tuner into the soundhole on an upstroke. Again, didn’t happen to me because I don’t beat my acoustic guitar to death, but it’s a possibility if you’re a crazy person on stage. If we’re comparing apples to apples, the NS Micro is in the lower price range of the available soundhole-mounted tuners out there. So, in that regard, it’s a very good value. 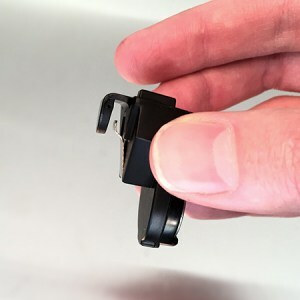 If you want to compare it to all clip-on tuners in general, including headstock tuners, it’s in the low-to-midrange. Still a pretty good value, in my opinion. 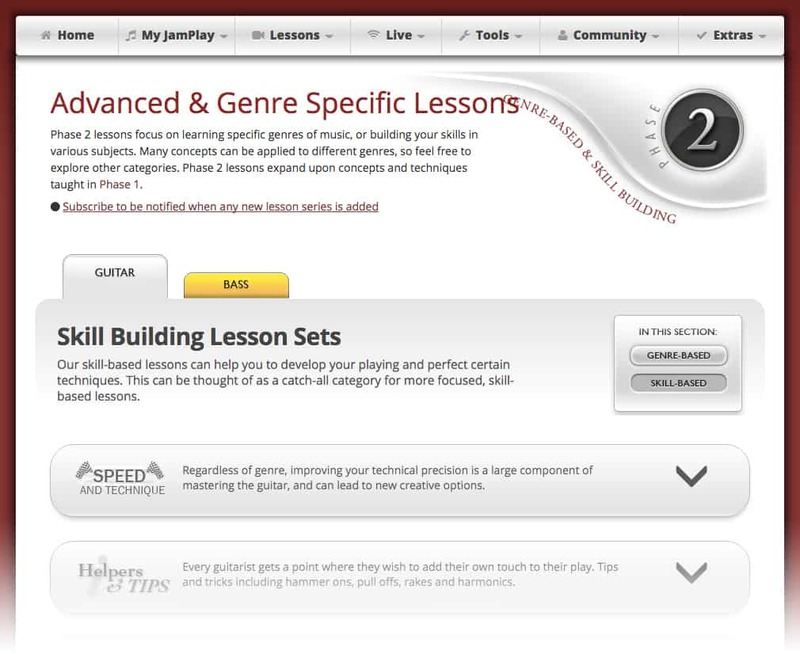 When I say “speed” here, I’m referring specifically to how quickly the tuner picked up my plucked notes. The NS Micro soundhole tuner picked up notes as I’d expect any tuner to: quickly, almost instantaneously. So, it met my expectations here. During my tests, I also had its headstock-mounted sibling going, and both tuners picked up and displayed notes with the same speed. So, nothing earth-shattering to report here. The tiny metal clip presses (gently) against the inside the lip of your soundhole. The other surface is rubberized, so it won’t scratch your guitar. By “safety” I mean safety to your guitar. 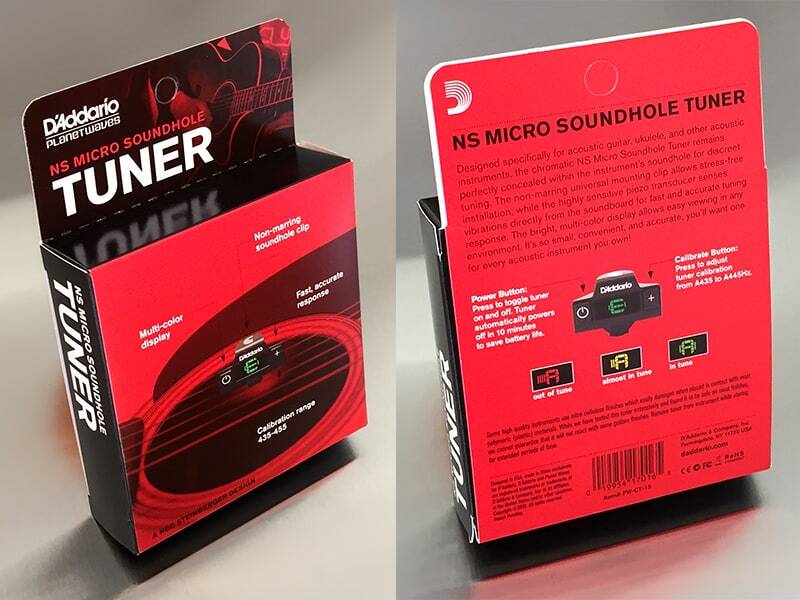 The NS Micro soundhole tuner won’t scratch your guitar’s finish when placing and removing. The small lip that comes into contact with the outer edge of your soundhole is backed by a rubber pad, so it’s gentle. 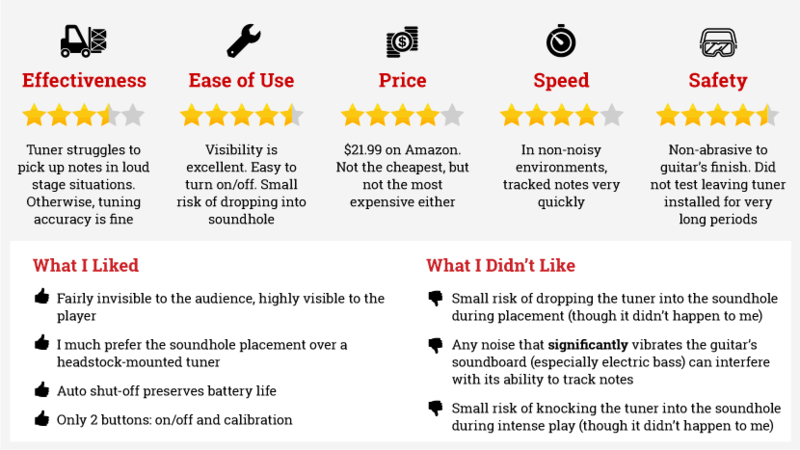 The reason I deducted half a star here is because I wasn’t able to test this tuner on a wide variety of acoustic guitars. 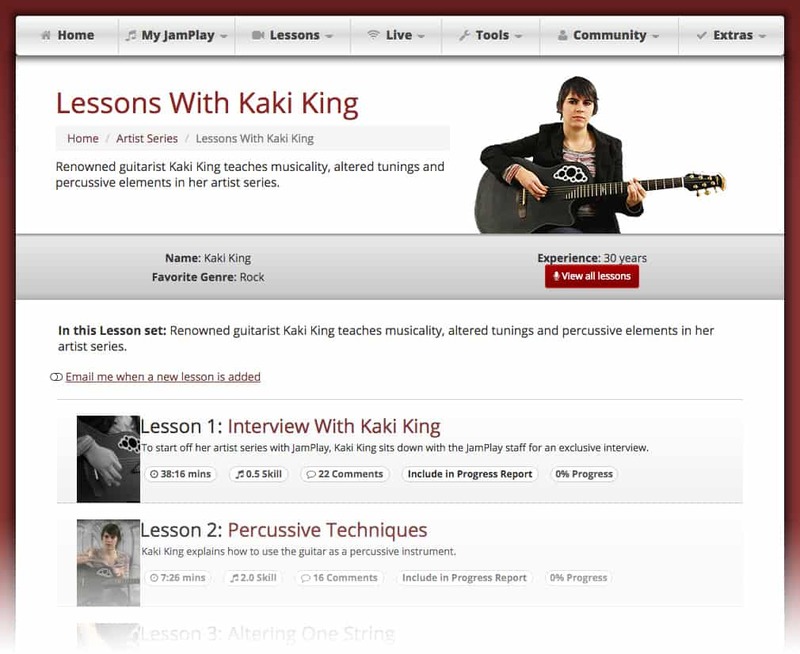 I only tested it on my Breedlove steel-string acoustic and my nylon-string Classical guitar. Additionally, I don’t know if there would be any ramifications to leaving the tuner in place for long periods (e.g. months). So, to be fair, I deducted half a star for these unknowns. The NS Micro soundhole tuner, like it’s headstock-mounted sibling, is fairly invisible to the audience. All they’ll see (if they’re looking for it) is a tiny black triangle at the bottom of your soundhole. For me, soundhole placement is much more visible and convenient than a headstock mounted tuner. Auto shut-off preserves battery life. Simple operation. Only two buttons, one for power and another for calibration (which most people won’t have to do). 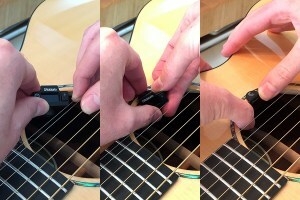 Putting the NS Micro in place felt unstable–like I might drop it into the soundhole. However, I never actually did. Each time I placed or removed the tuner, the process felt very precarious–like I might drop it into the soundhole. To be fair though, I never actually did. The tuner didn’t perform well when other loud instruments were playing. 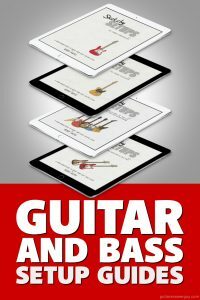 Anything that significantly vibrates the guitar’s soundboard will interfere, to some extent, with the tuner’s ability to pick up your notes. I’m speculating here, but if you’re a crazy person on stage, I can see how there might be a risk of knocking the tuner into the soundhole on an up-strum. Again, didn’t happen to me. I don’t perform live anymore. 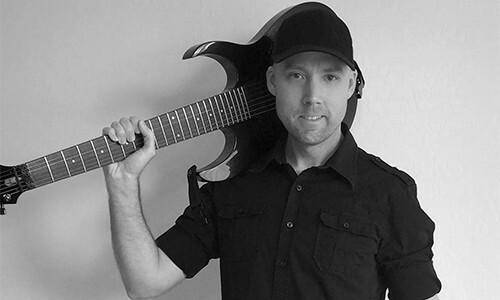 The places I play guitar are usually fairly calm, quiet environments (home, amongst friends, etc). So for me, the NS Micro soundhole tuner works just fine. It’s performance, overall, was on-par with the headstock mounted tuners I’ve tried, but I actually prefer it over the others because I like its inconspicuous and more-visible placement inside the soundhole. This one’s replacing my headstock-mounted tuners. The NS Micro soundhole tuner is now my main tuner for my two acoustic guitars.